Watch full Naruto Shippuden Season 20 Episode 26 English Dubbed full HD online. Naruto Shippuden Episode 439 English Dubbed online for free in HD. Tsunade’s reading is interrupted when her candle burns out. Shizune replaces it and asks her not to overdo it. Jiraiya battles the four-tailed Naruto, who destroys Jiraiya’s chakra-suppressing seal. Jiraiya manages to immobilise Naruto and thinks back to Gamamaru’s prophecy. Sasuke thinks back to being unfavourably compared to Itachi by their father, and begins fighting Sasori’s puppets. The other genin join the fight to protect Sasuke while Team Jiraiya observes the fight. The masked man and Neji debate on the genin’s motivation to fight. Sasori reveals more of his puppets. Naruto thinks back to his Rasengan training with Minato, and manages to suppress the Nine-Tails’ chakra. Jiraiya retreats, and sends Naruto to help his teammates. Naruto manages to use the Rasengan, and uses it with several clones to dispatch Sasori’s puppets, causing him to retreat. The genin congratulate Naruto, and decide to look for their kidnapped team leaders. 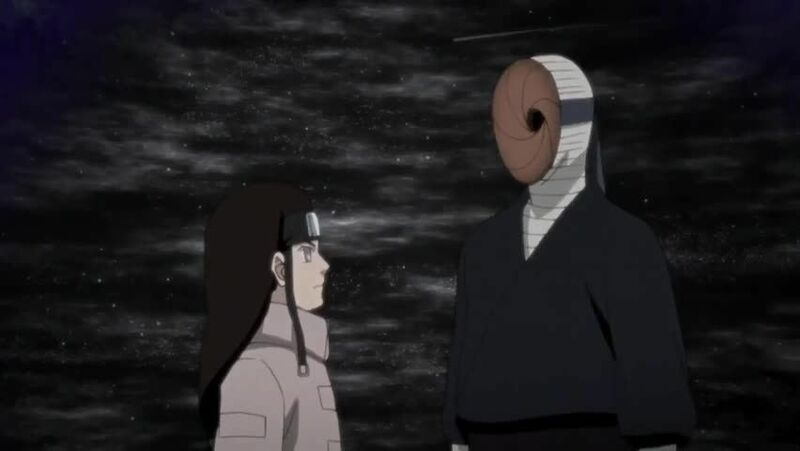 Neji asks the masked man if his test has yielded the results he expected, and surprises him by calling him his father.